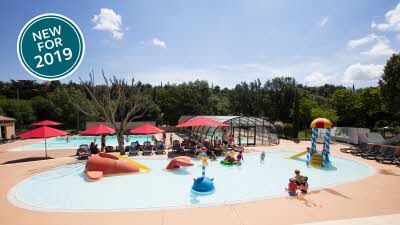 A beautifully maintained, family-run site with a fantastic location on the L’Ardèche River, this site is ideal for active families. The well-kept facilities are comprehensive, and children and disabled guests are well catered for, while the pitches are of a good size and separated by trees and shrubs. Some have a riverside location and access is good, making them suitable for larger units. The bar and restaurant are the focal point of the site, with a lovely pool complex, play area and organised activities for families in summer. Patrols are made at night to ensure peace and quiet is maintained. Professionally-run canoe trips can be taken directly from the site, and a visit to the Gorges de l’Ardèche is a must, as is a trip to the historic village of Vogüé. There’s also a recreation of the Chauvet cave and its art, as well as an exhibition on Palaeolithic man near Vallon-Pont-d’Arc. When arriving on site, reception staff give you free bottle of wine and then you are led to your pitch. We had a big pitch - D8 -shaded by trees however, be aware - if it rains this pitch floods!! 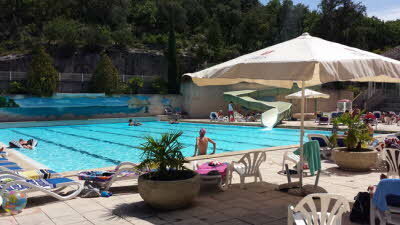 Swimming pool great with activities - Aqua Zumba is fun and the teacher is engaging. The facilities are modern and cleaned several times a day. Disappointing that, whilst the site has direct access to the river, there is no beach and swimming is limited due to number of canoes coming down the river. We used the restaurant once - staff were rude, unwelcoming and the food was cold. Much better to walk into town of Vallons (15 minutes) and visit Le Coconuts - something for everything and reasonably priced. 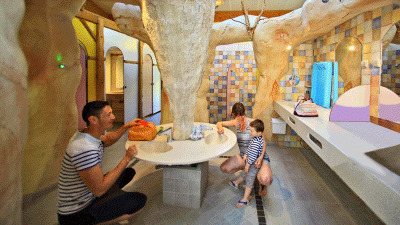 Ideal site for families with younger children as lots of entertainment. 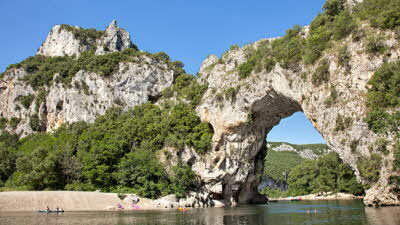 In an excellent position at the start of the gorge but perfectly placed to walk into the village of Vallon Pont d'Arc. The site is kept immaculately clean and tidy with good sized pitches (probably larger than advertised). 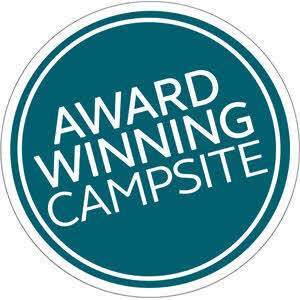 An excellent swimming pool which is kept spotlessly clean, and the site has the added bonus on river frontage enabling campers to swim or hire canoes. The site has an excellent shop and there is a great market in the village. 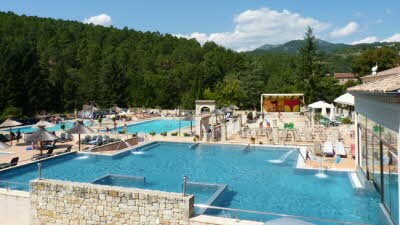 There is ample to do in the area or just enjoy your time on the site. 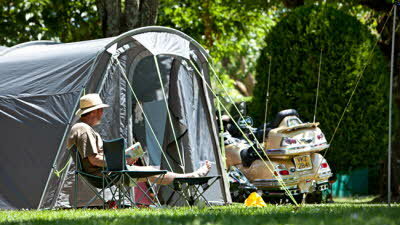 There were very few British campers on the site with the vast majority from Netherlands, Germany and Switzerland. This probably endorses the quality of this site. Highly recommended. We stayed here twice, what a lovely kept site. Very friendly, beautifully kept facilities, even a couple of dishwashers dotted around to make less work. Lovely pitches on the riverside with a seating area hammock, and fridge but to top it all the view of the river and Gorge. What fun it was watching all these would be canoeist, from rowing down stream to be rescued at the end of their run. Lots of laughs for those taking part. 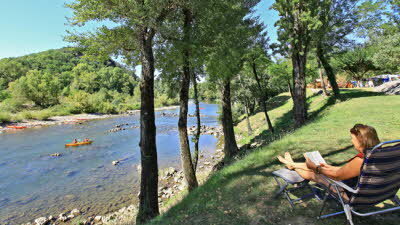 Good child friendly site, though not a lot to do around other than laze on or in the rive. Out standing views. A visit to the Lavender museum is a must, Will return but want to get some canoe practise in first! !